Place the garlic in a medium saucepan. Arrange the potatoes over the garlic. Add the water and bring to a simmer over medium heat. Reduce the heat to low, cover, and cook for about 25 minutes, until the potatoes are tender when pierced with a knife. Check occasionally and add more water, 1 tablespoon at at time, if the saucepan becomes too dry. Mash with a potato masher or fork. Then stir in enough soy milk to obtain a creamy consistency. Season with salt to taste. 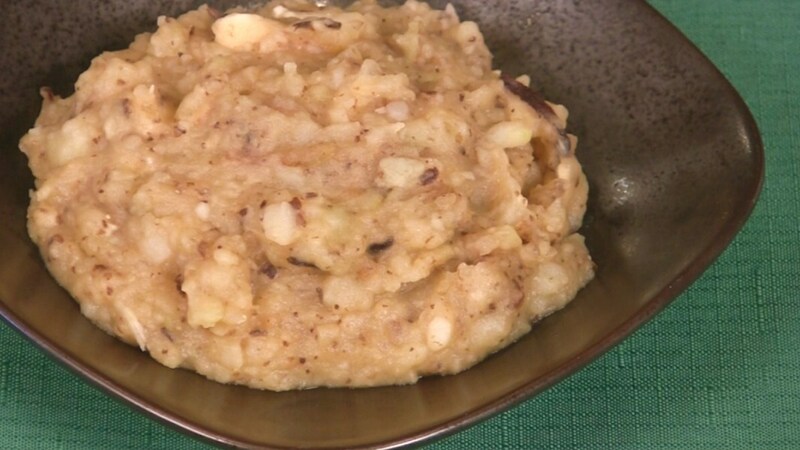 Stored in a covered container in the refrigerator, leftover Garlic Mashed Potatoes will keep for up to 2 days.